Maggie Fietz began painting in watercolour in 1992 after taking a workshop course ‘for fun’ at the Buckhorn School of Fine Art. Although mostly self-taught, Maggie took courses from various Ontario artists such as Susan Goold, Mary Nunn, Art Cunanan, Charles Spratt, Gary Chapman, Gordon Mackenzie, Sterling Edwards, Doug Mays and Donnah Cameron. She painted many times in the Gatineau region with Quebec Artist, Rachel Lemire. Maggie’s style combines strong colours with fine, detailed work. Maggie prefers to paint quiet landscapes, birds and flowers in their natural settings. Her most successful landscapes are based on local scenes, painted on location or from her own reference photographs. 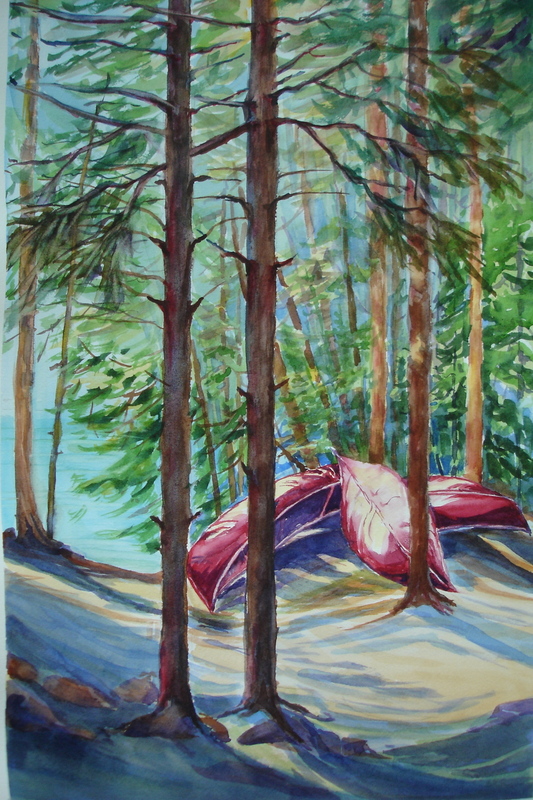 Maggie’s watercolours are on display at Art Lending of Ottawa, the Ottawa Little Theatre through the Ottawa Art Association, at St. Mark’s Annual Art Show and as a guest artist at Galerie Old Chelsea. Maggie is a member of the Ottawa Art Association, the Nepean FineArts League and Kanata Art Club. She has received Honourable Mention Awards at the Orchid Show (2007 to 2010), Ottawa Art Association’s Members’ show and Awards of Excellence at the Nepean Fine Arts League 2008 & 2009 shows.